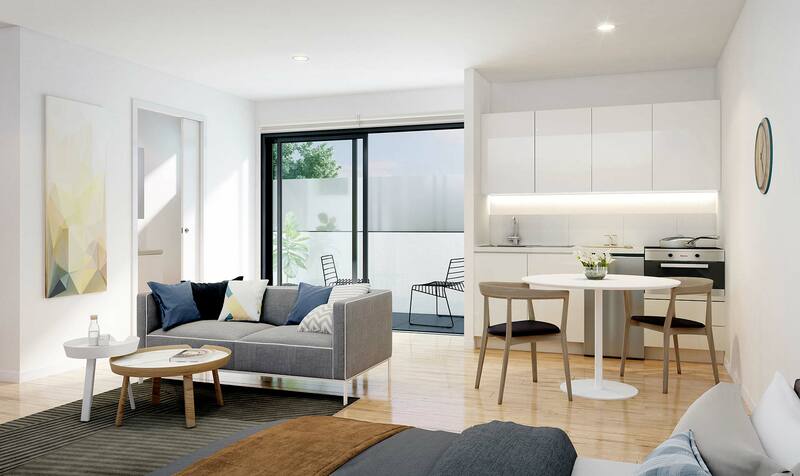 Featuring sharp, clean architectural styling this design has been created for the slightly wider and shallower site at around 18 metre x 36 metre. 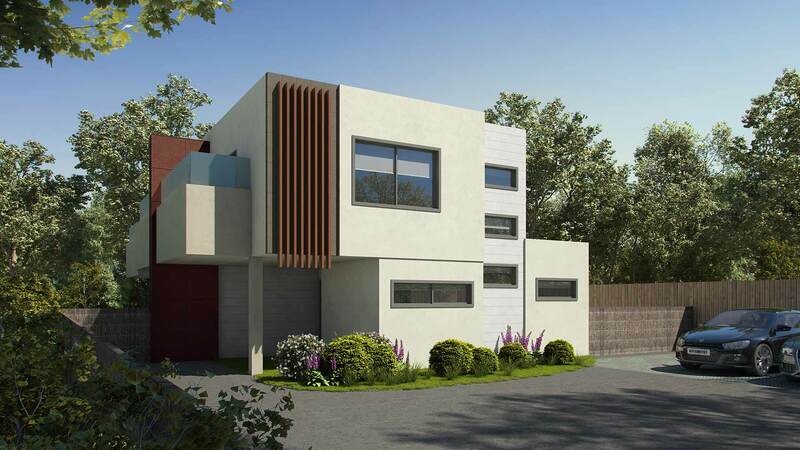 Designed for the property owner and tenant who prefer the more traditional styling of a standard house, this building emulating a modest size modern home accessed via a single common secure building entry door. Within, the dwelling comprises an entry foyer, hallway or stairs accessing nine lettable rooms with lockable private room entries, a common kitchen and common laundry. Each light and airy room contains a bed area, relaxed sitting space, private ensuite bathroom and kitchenette style cabinets, air-conditioning and heating and is TV and internet ready. Each ground level room is provided with its own small courtyard garden with each upper level room provided with its own private balcony (site permitting). DOWNLOAD OUR PROJECT BROCHURE TO VIEW OUR SHARED HOUSING DEVELOPMENTS IN DETAIL. 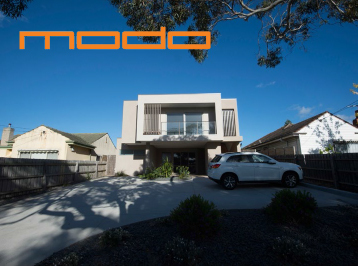 Working with Modo means you build more wealth with just one project. Then again, you might just want more than one. We’re only a phone call away.